As the past year of the new Armenian Prime Minister’s rule showed, the current authorities have too high expectations from the image of their “revolution” and hopes to turn it into a lever for the implementation of issues of Armenian interest. The long lasting conflict over Nagorno-Karabakh, ancient Azerbaijani land with magnificent nature and people, devastated the entire life here. 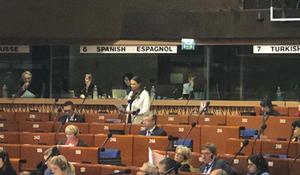 The incitement of hatred by Armenians seriously undermines the efforts and work of the Parliamentary Assembly of the Council of Europe (PACE) to strengthen democracy, Head of the Azerbaijani delegation to PACE Samad Seyidov said at a spring session of the organization in France, Trend reports April 8. 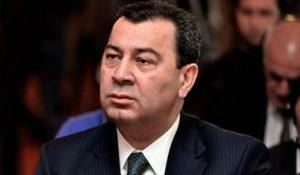 Azerbaijani MP, Vice-President of the OSCE Parliamentary Assembly Azay Guliyev will attend a meeting of the PACE Bureau, which will open in Copenhagen, Trend reports on April 5. Rapporteurs of the Parliamentary Assembly of the Council of Europe (PACE) have welcomed the pardon decree signed recently by Azerbaijan’s President Ilham Aliyev, Trend reports citing PACE’s message. 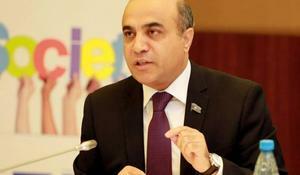 Chairman of the parliamentary committee on international and interparliamentary relations, head of the Azerbaijani delegation to PACE Samad Seyidov will leave for Paris on Feb. 27 to attend the meetings of the PACE committees, Trend reports referring to the Azerbaijani parliament on Feb. 26. 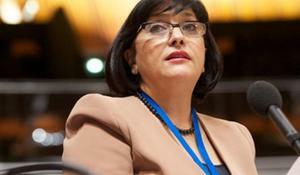 European organizations aren’t taking any steps to stop Armenia’s aggression policy, said Ganira Pashayeva, a member of the Azerbaijani delegation to PACE, vice president of the Free Democrats group, MP, Trend reports. 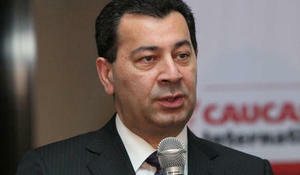 It is very difficult to overestimate Turkey’s role in the fight against terrorism, Vice-President of the Parliamentary Assembly of the Council of Europe (PACE), Chairman of the Committee for International and Interparliamentary Relations of the Azerbaijani Parliament, Head of Azerbaijan’s Delegation to PACE Samad Seyidov said, Trend reports. 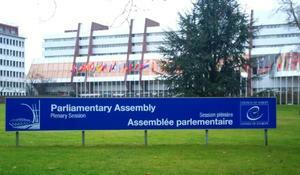 The co-rapporteurs of the Parliamentary Assembly of the Council of Europe (PACE) for the monitoring of Azerbaijan, Sir Roger Gale (United Kingdom, EC) and Stefan Schennach (Austria, SOC), have expressed their approval at the decision of the General Prosecutor’s Office in Azerbaijan to terminate a new criminal case against blogger Mehman Huseynov, Trend reports citing a statement on the Council of Europe’s website.